Simply put, Falcon Waterfree urinals are the most practical and efficient urinal available for new construction and restroom upgrades. In new building installations, there is no need to connect to a water supply – only to a drain line. 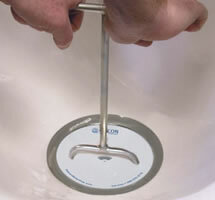 For urinal upgrades, the existing water supply is simply capped off and the waterfree urinal is connected to the drain line. Many restroom upgrades present unique challenges due to wall conditions and old plumbing systems, but the design of the Falcon Waterfree urinal and the adaptive installation hardware easily accommodate all forms of variability. The Falcon model F-1000 is a vitreous china wall hung, wall outlet waterfree urinal. It requires no flush valve or water supply, and plumbs to standard drain connections. The F-1000 utilizes a replaceable sealed locking cartridge, with bayonet tabs, is made of recyclable ABS plastic and utilizes a 100% biodegradable liquid sealant. The Falcon model F-2000 is a vitreous china wall hung, wall outlet waterfree urinal. It requires no flush valve or water supply, and plumbs to standard drain connections. The F-2000 utilizes a replaceable sealed locking cartridge, with bayonet tabs, is made of recyclable ABS plastic and utilizes a 100% biodegradable liquid sealant. The Falcon model F-4000 is a vitreous china wall hung, wall outlet waterfree urinal. It requires no flush valve or water supply, and plumbs to standard drain connections. The F-4000 utilizes a replaceable sealed locking cartridge, with bayonet tabs, is made of recyclable ABS plastic and utilizes a 100% biodegradable liquid sealant. The Falcon model F-5000 is a vitreous china wall hung, wall outlet waterfree urinal. It requires no flush valve or water supply, and plumbs to standard drain connections. The F-5000 utilizes a replaceable sealed locking cartridge, with bayonet tabs, is made of recyclable ABS plastic and utilizes a 100% biodegradable liquid sealant. The Falcon model F-7000 is a vitreous china wall hung, wall outlet waterfree urinal. It requires no flush valve or water supply, and plumbs to standard drain connections. The F-7000 utilizes a replaceable sealed locking cartridge, with bayonet tabs, is made of recyclable ABS plastic and utilizes a 100% biodegradable liquid sealant. The Falcon model F-9000SS is a stainless steel wall hung, wall outlet waterfree urinal. It requires no flush valve or water supply, and plumbs to standard drain connections. The F-9000SS utilizes a replaceable sealed locking cartridge, with bayonet tabs, is made of recyclable ABS plastic and utilizes a 100% biodegradable liquid sealant. The Falcon model Flax is a vitreous china wall hung, wall outlet waterfree urinal. It requires no flush valve or water supply, and plumbs to standard drain connections. The Flax utilizes a replaceable sealed locking cartridge, with bayonet tabs, is made of recyclable ABS plastic and utilizes a 100% biodegradable liquid sealant. The Falcon model Lava Lux is a vitreous china wall hung, wall outlet waterfree urinal. It requires no flush valve or water supply, and plumbs to standard drain connections. The Lava Lux utilizes a replaceable sealed locking cartridge, with bayonet tabs, is made of recyclable ABS plastic and utilizes a 100% biodegradable liquid sealant. 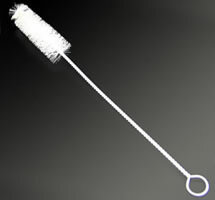 The patented cartridge is engineered to last an average of three to four months in typical installations and to receive urine through drain holes. Urine passes through an immiscible layer of biodgradable sealant, continues through a siphon trap system, and flows out through a baffle to prevent the loss of sealant. A discharge tube in the housing directs the flow of urine into the building drain system. The cartridge is designed as a replaceable component when its function has been exhausted. The 20 pack comes bulk packed in a single carton (not individually packaged). 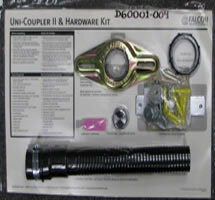 Uni-coupler. The coupler conforms to NSF 14 for plastic pipes and fittings. It is designed to be used in both retrofit and new installations. It offers a variety of configurations which allow it to couple to most existing drain openings.